While the Fukuoka Softbank Hawks and Orix Buffaloes vie for position at the top of the Pacific League standings, it’s the four teams behind them who may hold the real key to winning the Pa League pennant. Softbank’s Toru Hosokawa, Kenji Akashi and Kenta Imamiya all had RBI singles in the second inning of a 3-2 win over Orix on Sunday that gave the Hawks a 1½-game lead at the top of the standings. 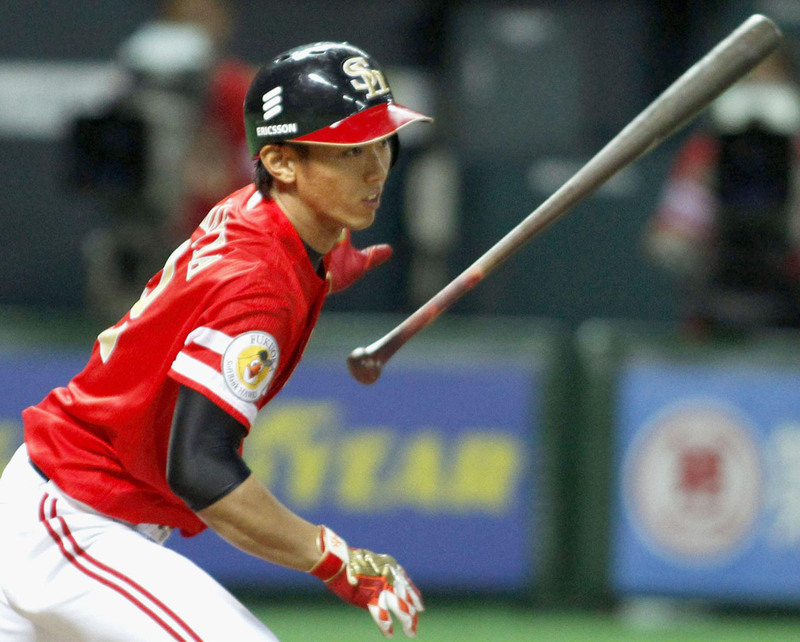 The Hawks and Buffaloes have been easily the best two teams in the league all year and are threatening to separate themselves from the pack — the third-place Hokkaido Nippon Ham Fighters are already 7½ games behind the second-place Buffaloes. Softbank (52-34-4) and Orix (52-37) are the only teams in the league above .500. The season series between the two squads stands at 7-7 with 10 games left to play. So it’s very likely the PL race will come down to those two and how they do against each other and the rest of the PL teams the rest of the way. To this point in the season the Hawks are 31-19-2 against the other four PL clubs. 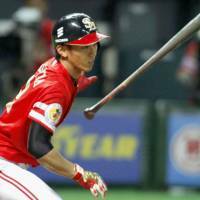 If there’s one team they’ve owned, it’s been the Chiba Lotte Marines, against whom Softbank is 10-6-2 this year. The Buffaloes are 31-20 against the rest of the league, excluding Softbank, and have taken particular pleasure in facing the Tohoku Rakuten Golden Eagles, stampeding to an 11-3 record against the defending PL champions in their first 14 meetings. If the race does indeed go down to the wire, it’s one of the bottom four teams, who will be vying for the third and final spot in the Climax Series, who might make all the difference. The Marines have played well against the Hawks recently and could easily tilt the balance of power by winning a few more games against the Fukuoka squad. Similarly Rakuten — which hasn’t put up much of a fight against Orix so far, they’re hitting .234 against the Buffaloes and their pitchers have a 5.12 ERA — could turn the tide of the race by reeling off a few victories over Orix. In a tight race, the teams on the wrong end of the standings can become major players. The teams at the very bottom want to finish strong, and the rest are still vying for the other spot in the postseason. Most of the gains they make to those ends will come at the expense of the teams ahead of them in the standings as they play the role of spoilers. A few years ago, the Chunichi Dragons rallied past the Tokyo Yakult Swallows to win the Central League pennant. Sometime after the season, Dragons manager Hiromitsu Ochiai mentioned that he had been more concerned with making sure his team took care of business against the last-place Yokohama BayStars more than anything else because of the differing stakes for each team. It won’t be hard for Softbank and Orix to get up for each other, but the key to the pennant will be to avoid dropping games against the teams they should beat. Especially those completely out of the playoff race with nothing to lose and hungry to salvage something out of a dismal year. Only one of the two teams at the top of the standings will ultimately be crowned PL champion, but all six will have a say in which team capture the flag.